keerti is using Smore newsletters to spread the word online. Brent can afford only $2,000 each month after paying his taxes, a car payment, and household expenses. Brent earns an annual gross income of $60,000 a year however, approximately 30% of his annual salary goes to taxes. Thus after the taxes are paid off his salary is $42,000 and his monthly net income is $3,500. Brent also has a monthly car payment of $450 and household expenses of approximately $1050 (not given in the rubric but it is important to account for). Therefore he has a monthly amount of $2,000 after subtracting the cost of his household expenses and car payment from his monthly net income. The total amount that Brent can afford to borrow $193,413. The total amount that Brent can afford to borrow is determined by using the present value formula or TVM solver finance app on the calculator. The minimum monthly payments required each month after the mortgage is approved is $906.96. The mortgage for the house that Brent wants to purchase is approved because it falls within the adequate price range which is $159,000-$228,00 and it is does not exceed the most that he can afford to borrow on the 30-year fixed rate mortgage which is $193,413. The minimum monthly payments that Brent is required to pay is determined by using the present value formula or TVM solver finance app on the calculator. The time and money that Brent can save by increasing the minimum monthly payment to 15% to borrow on his 30-year fixed rate mortgage is about 7 years and $38,540.40. The time that Brent can save is determined by using the present value formula or TVM solver finance app on the calculator. The amount of money that Brent can save is determined by subtracting the 15% increased monthly payments times the new total deposits from the original minimum monthly payments times the original total deposits. 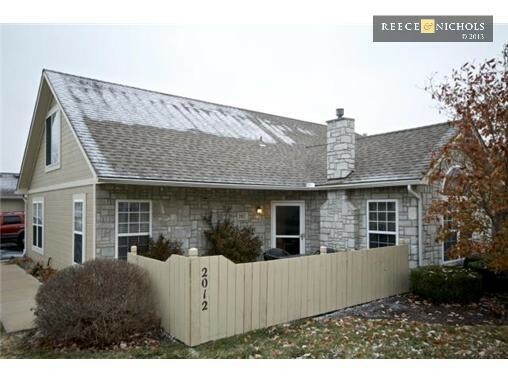 Since Brent is buying his very first home in Leawood, Kansas he needs to determine the largest house payment he can afford, how much he can borrow on the 30-year fixed rate mortgage, and the price range of houses that he should be looking at. The largest house payment he can afford is $980 because The Bank of America requires that his house payment be no more than 28% of his net monthly income which is $3,500. Therefore 28% of his net monthly income of $3,500 equals $980 which is then the largest house payment he can afford. The most Brent can afford to borrow on his 30-year fixed rate mortgage is $193,413. The total amount that Brent can afford to borrow is determined by using the present value formula or TVM solver finance app on the calculator. The price range of house that Brent should be looking at is $159,000-$228,000. The price range can be determined by using 5% greater than the 28% of the net monthly income for greatest house payment and 5% less than 28% of the net monthly income for the least least house payment. Then plug the greatest and least house payments in the present value formula or TVM solver finance app on the calculator. 1st class style + plus "rare" one level living. Nestled in the heart of Leawood & UPGRADED TO THE HILT! Chic kitchen incl: SS appliances, designer countertops, slate bcksplsh & oversized tile fls. Frieze carpet, new lighting, HVAC, INT/EXT paint, hardware & plumbing throughout. Prime location, close to shops & maintenance free!